WILL AMA WATERWAYS PROTECT OUR PRICE IF IT GOES DOWN? Q – We are three couples and we are about to book an AMA river cruise from Amsterdam to Budapest, an itinerary I know you rate quite highly. This trip is going to be about 14 months away and we see there is a reduced airfare offer on this sailing. But wondering if we book now whether that reduced rate airfare could become “Free Airfare” if the ship is not selling? We can well afford this trip but it would bother us if there was a later, better deal. How does this really work on AMA and some of its competitors. I think other RBR followers might like to know. A – River boat companies, the better ones like AMA, rarely do late discount offers. They just don’t need to. In fact, river boat executives often complain about the fact that their boats are all going out full, a wonderful thing, but they just don’t have the space to accommodate the number of travel agents and travel writers the Marketing and Sales Departments would like to experience the ships. The best pricing is usually given to the first 40-50% of those who book. Discounts are normally pulled after a certain period of time rather than added at the end when early bookers might get really upset. If, in the rare case, that your small group is affected by a special offer from the line for new bookings, your travel consultant will have the kind of relationship with the lines they sell to have the price matched. There are lots of reasons to book through a professional – but price protection is one of the better ones. 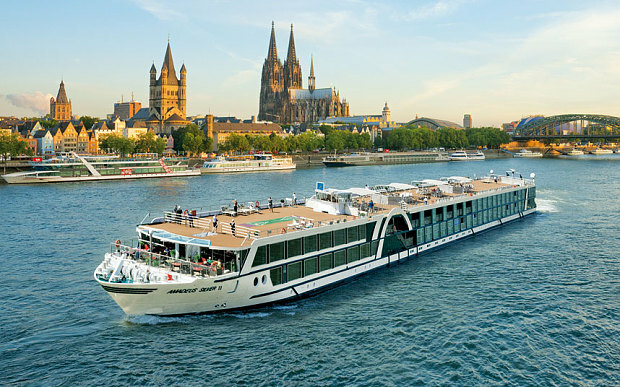 Finally – one caveat: River boat lines only carry quite limited number of guests. They often sail in and out of non-competitive destinations like Venice or Budapest. The lines are not really in the position to negotiate great contract pricing with the airlines, so always check out any river boat air deal carefully.